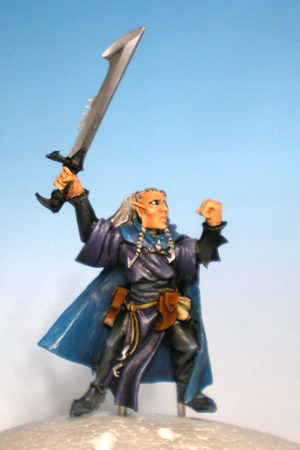 Today, I want to share the miniature that is currently on my workbench. 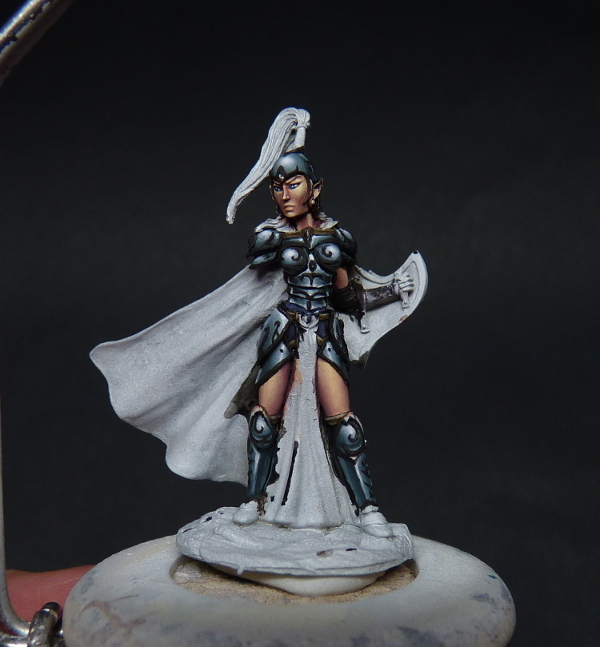 It is the first miniature I have started painting after the NMM workshop by Alfonso Giraldes. Therefore, the approach is a little different then I am used to, definitely more sketchy in the beginning and then add more colour and tones to it. I will share my experiences about the workshop later, as I still (even after a month) am digesting a lot. 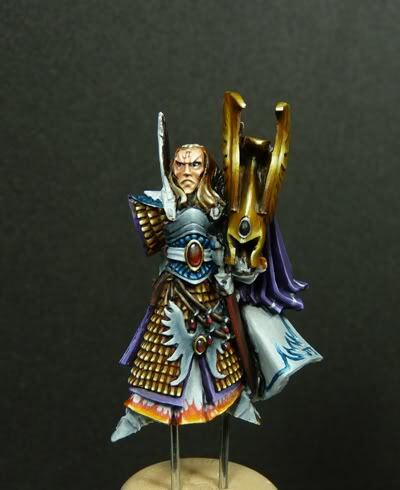 So I am mainly focusing on upping my NMM. 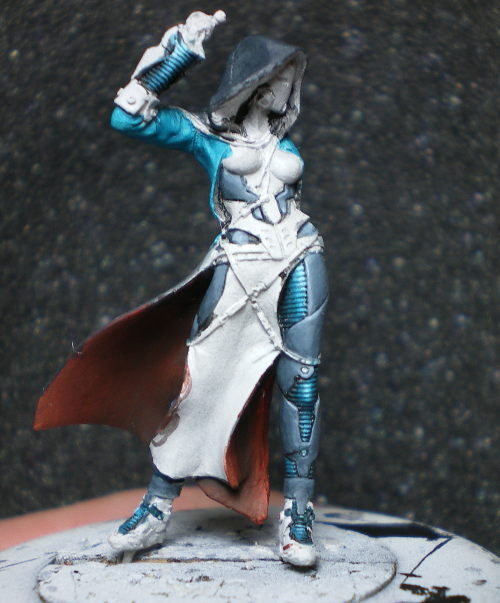 This is the beginning fase of the painting, but there is still loads to be done on the NMM. I want to add more depth in the colours and more variation on the figure. We’ll see where it goes ;). Suggestions are always welcome! I don’t know if many of your followers are qualified to offer you suggestions. Your paint skills are so far ahead of mine I’d feel foolish making a suggestion. I just love to see your progress. Her armor and skin is already stunning. Thank you for that link to your gallery. I’ve been dying to see more pictures of the Sunstalker Dancer and didn’t think to look there. 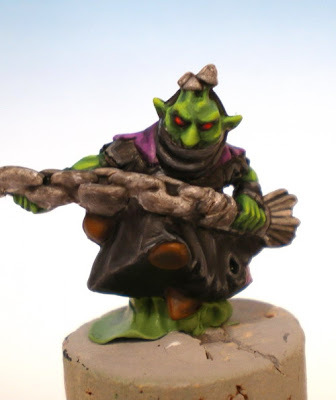 So many beautiful minis in that gallery that I missed before. Thank you so much Coralline (apologies for the super late reply!). 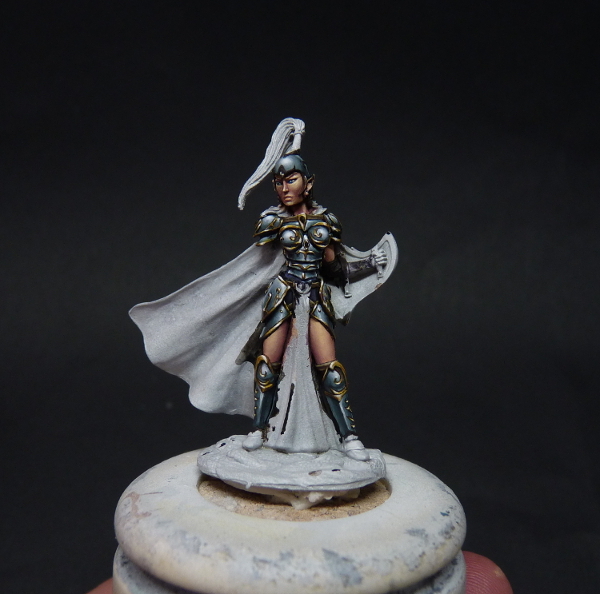 It’s been a busy period, but I soon hope to update the gallery here, as well as show some new WIPs. 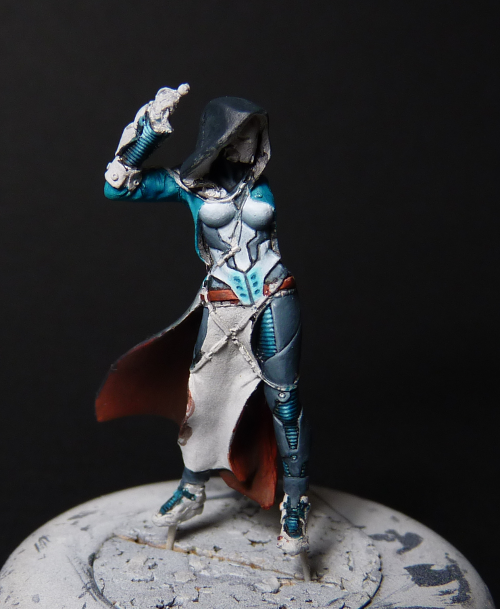 Did you use the same colours for the nmm which is in the tutorial section? Keep on painting and share!